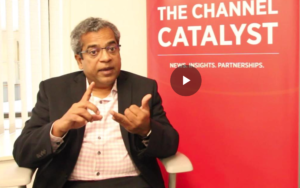 With the digital world, the secure access world has become complex, with the greatest impact from the consumerization of IT. BYOD and cloud has increased the need for anywhere access from devices, both personal productivity (laptop, smartphones, smartpads) or IP-enabled (printers, cameras, phones), to data or applications that reside in the traditional datacenter or cloud. 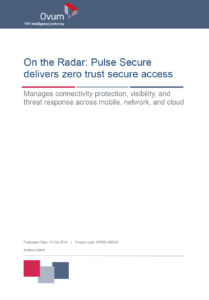 Pulse Connect Secure is the key component to Pulse’s Secure Access solution. Pulse Connect Secure provides a seamless, cost-effective, SSL VPN solution for remote and mobile users from any web-enabled device to corporate resources— anytime, anywhere. 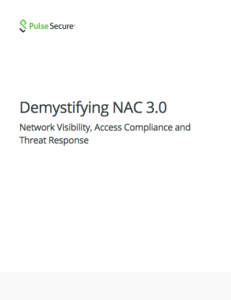 Enterprises and service providers have the difficult challenge of providing location- and device-independent network connectivity that is secure and capable of controlling resource access for authorized users. 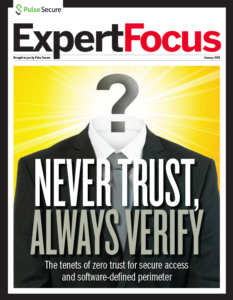 Breaches and threats continue to spiral out of control, and increasing numbers of employees and users want to use their own personal productivity solutions from devices to cloud based applications. Making this challenge even more difficult. 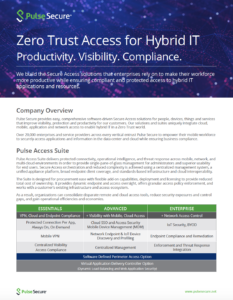 Pulse Secure Connect Secure provides secure, authenticated access for remote and mobile users from any web-enabled device to corporate resources—anytime, anywhere. 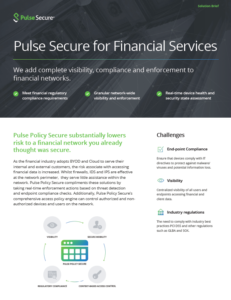 Pulse Connect Secure is the most widely deployed SSL VPN for organizations of any size, across every major industry. 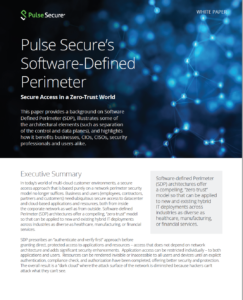 Pulse Connect Secure includes Pulse Secure Clients and the AppConnect SDK. Pulse Clients are dynamic, multiservice network client for mobile and personal computing devices. Pulse Clients are simply deployed, enabling users to quickly “click and connect” from any device, anywhere. Pulse Secure AppConnect SDK delivers per application SSL VPN connectivity for iOS and Android clients, enabling IT to create an even more transparent and secure mobile app experience for their users. Appliance Family, as a hardware (Pulse PSA Series) or as a virtual appliance (PSA-V Series) as noted below. PSA300 Pulse Secure Appliance: Fixed configuration, compact appliance ideal for small and mid-size businesses, supporting up to 200 SSL VPN concurrent users. PSA300 is ideal for desktop deployments. PSA3000 Pulse Secure Appliance: Fixed configuration, rack-mount appliance ideal for small and mid-size businesses, supporting up to 200 SSL VPN concurrent users. PSA5000 Pulse Secure Appliance: Fixed configuration appliance ideal for scalable mid-size businesses, supporting up to 2,500 SSL VPN concurrent users. PSA7000 Pulse Secure Appliance: Fixed configuration appliance ideal for meeting the highest scalability needs of large businesses, supporting up to 25,000 SSL VPN concurrent users. Virtual Appliances (PSA-V Series): VMware, KVM, Hyper-V, and Microsoft Azure appliances for scalable elastic deployment of SSL VPN services. PSA3000-V: Supporting 2 vCPU cores and upto 200 users. PSA5000-V: Supporting 4vCPU cores and upto 2500 users. PSA7000-V: Supporting 8 vCPU cores and upto 25000 user. Pulse Connect Secure 2 For more details on PSA Series Appliance Family, including the specifications and ordering information of each model, please refer to the Pulse PSA Series Appliance datasheets.